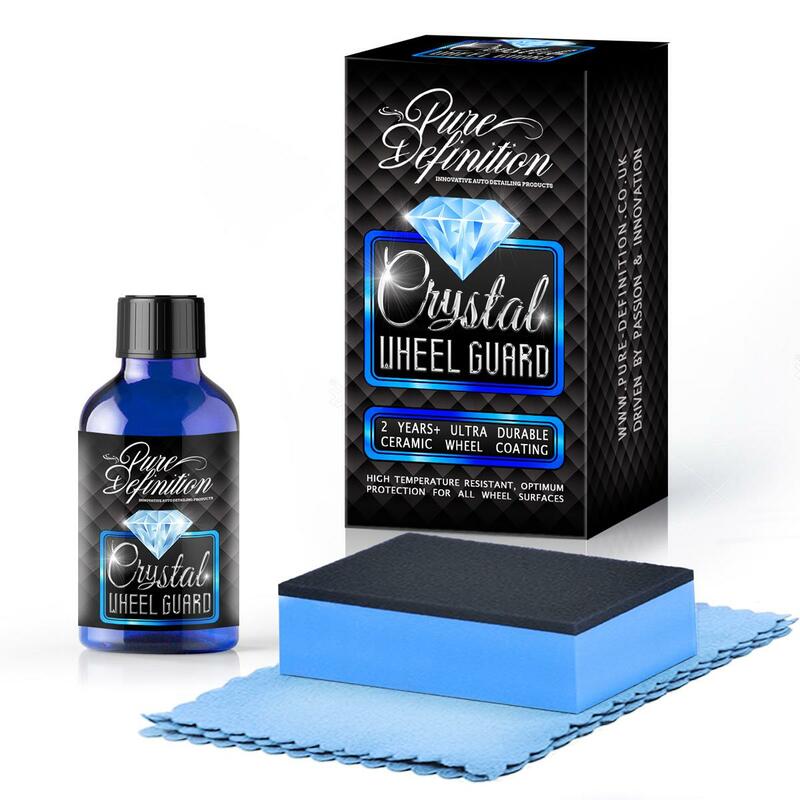 Crystal Wheel Guard is one of the most advanced wheel coatings on the market today, developed utilising the very latest cutting-edge high-tech ingredients and technological advancements. This is our most durable wheel coating available, offering optimum protection. Crystal wheel guard has been engineered to cure naturally without the need for any expensive equipment or a special facility. 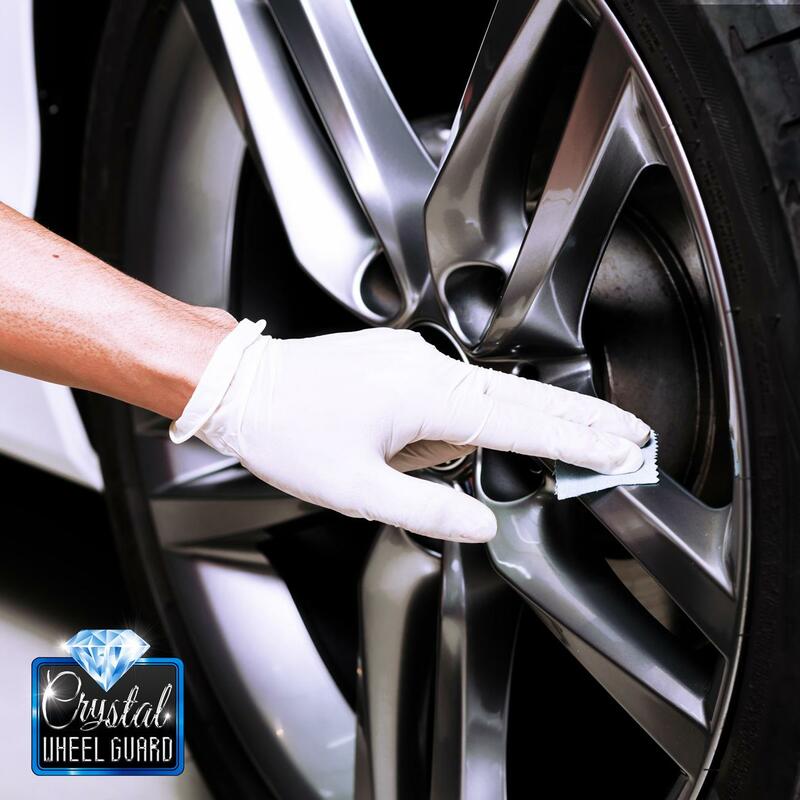 Applying Crystal Wheel Guard creates an outstanding durable chemical bond which provides the best possible protection for your alloy wheels. Crystal Wheel Guard will bond to virtually all wheel surfaces, such as; painted, satin, polished metal and diamond cut, without impacting the original finish. The advanced inorganic chemical formulation of Crystal Wheel Guard is also resistant to extremely high temperatures making it perfect for also coating brake callipers. the coating guarantees optimum protection and will bond to wheel surfaces for over 2 years. It locks in and guards the original finish, withstanding against stains, chemical contamination, brake dust and road soils from embedding into the wheel surface. 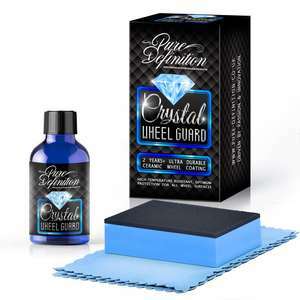 The clear protective slick coating also makes it extremely difficult for dirt and grime to bond to the surface, making it even easier to keep your wheels clean. 1. Remove all dirt and grime from the surface. Ensure the surface is completely dry. Wipe down the surface with a degreaser such as coating and residue remover. (if applying multiple layers this step is only required for the first layer). 2. 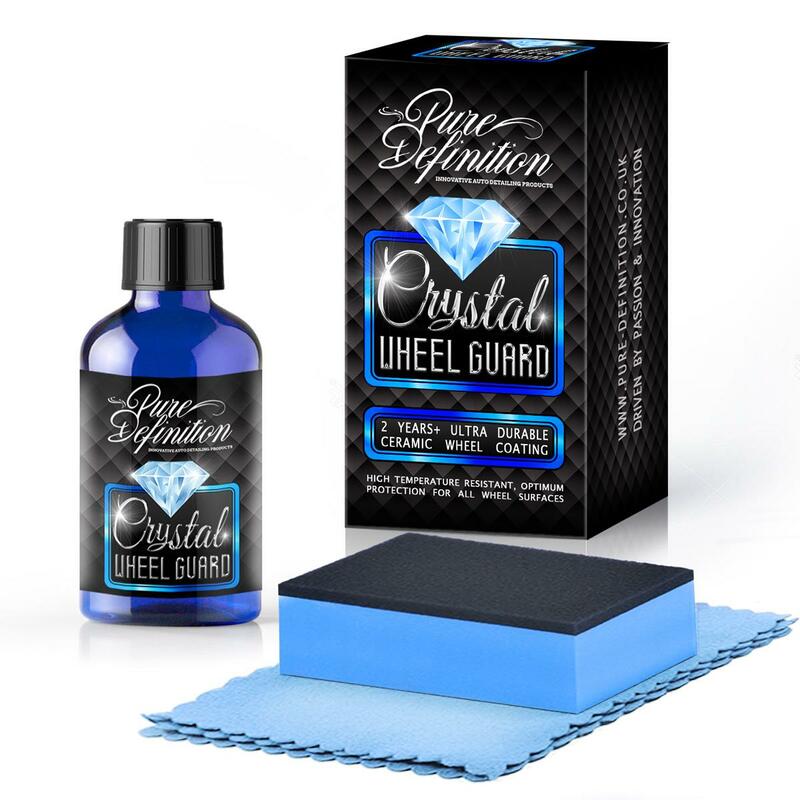 Wrap the blue cloth around the applicator pad and drop between 5 and 10 drops of Crystal Wheel Guard onto the cloth provided. 3. Apply to a small area at a time and apply in overlapping strokes. Remove each area before moving onto another section. 4. 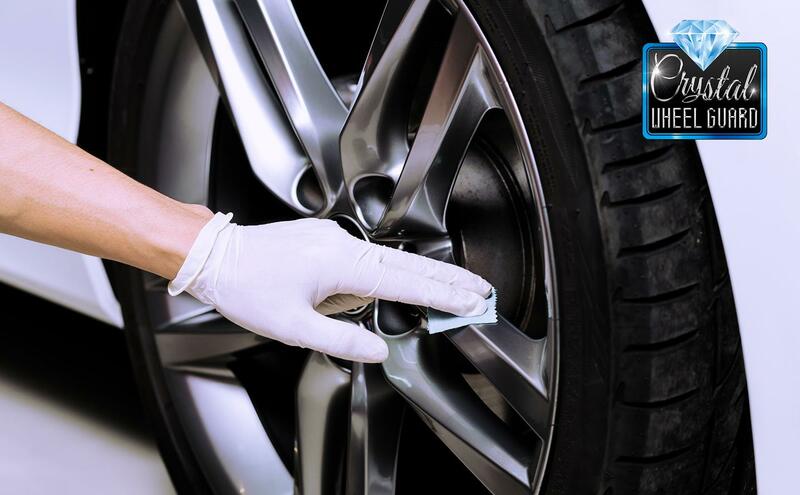 If the surface temperature of the wheels are 5-15°C wait two minutes before removing with a microfibre cloth. If between 15-25°C remove after one minute, above 25°C remove immediately. Never apply in direct sunlight and in temperatures over 40°C. 6. Do not get moisture or dust on the surface for 2 hours during the curing period. After this the surface is dry and the vehicle can be driven. *15ml will cover one full set of wheels up to 17"